Mandatory Bankruptcy Counseling and Education: What is It? Before debtors can successfully receive a discharge, they must pass mandatory credit counseling. The bankruptcy code requires two courses: credit counseling before you file and a debtor education course before receiving your discharge. Read on for more information about what to expect during these sessions. Debtors must meet with a nonprofit credit counselor within the 180-day period before they file for bankruptcy. The purpose of this session is to analyze whether or not you can avoid bankruptcy by coming up with an informal repayment plan. After meeting, you might realize that you do not need to file for bankruptcy but can instead pay your debts. However, even if a payment plan is feasible, you are not required to agree to follow it. Instead, you can just go ahead and file for bankruptcy, but you will need to file the repayment plan with the court. Debtors must receive counseling only from an approved credit counselor. Visit the U.S. Trustee’s website to find a credit counselor in your area. Your credit counseling session should last about an hour. At the end, you will receive a certificate which you must file with the court within 15 days of filing your bankruptcy petition. You will need to pay a fee to attend credit counseling, but it should not be much. If your income is too low, you might qualify for free counseling so be sure to ask. Generally, you will not pay more than $50. This course will take about two hours to complete and is available in person, online, or over the phone. If you take it over the phone or online, you will need to complete a test before you earn your certificate. You should only take a debtor education class from an approved provider. If you have applied for a Chapter 7, you must take the course and file your course certificate within 60 days of your 341 Meeting of Creditors. If you applied for a Chapter 13, you must complete the course before you make your final payment on the repayment plan. As with the pre-petition course, you will need to pay a reasonable fee, which should not be more than $50. If your income is low, you might receive a waiver. The counseling and education requirements are annoying but necessary. 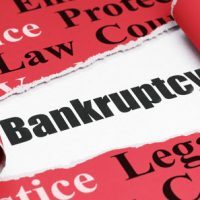 If you have questions about them, or about the bankruptcy process generally, you should reach out to a bankruptcy lawyer in Plantation as soon as possible. At Nowack & Olson, we are happy to answer any questions you have. Contact us to schedule a free consultation.